Google is obviously making big moves into the enterprise. In February, it relaunched JotSpot as Google Sites under the enterprise group, and next week it is expected to announce deeper integration of Google Apps with Salesforce.com, which should help it introduce Google Apps to more business customers. 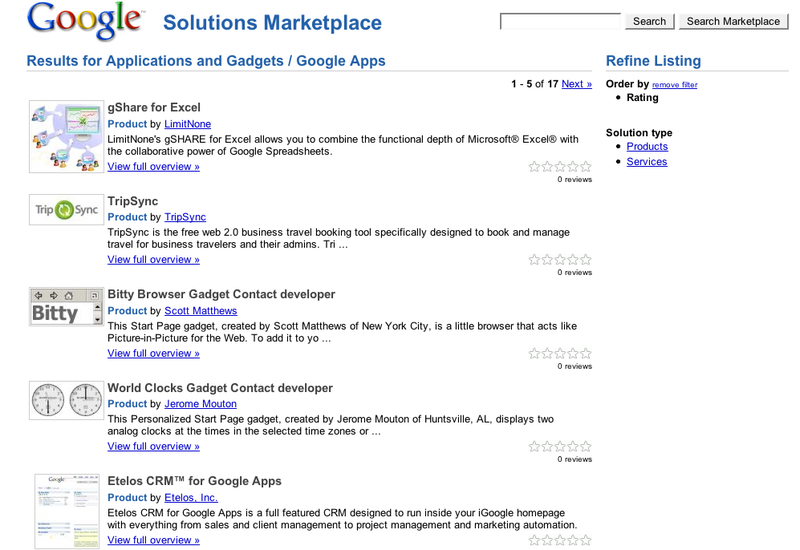 But today, it is taking a page from Salesforce.com by launching its own marketplace for third-party applications and consulting services that enhance Google’s enterprise offerings (mainly Google Apps and enterprise search). Salesforce, of course, has its AppExchange where smaller companies can sell on-demand software to Salesforce customers (and have Salesforce host the apps). 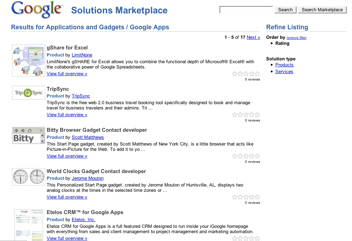 Google is calling its exchange the Google Solutions Marketplace. 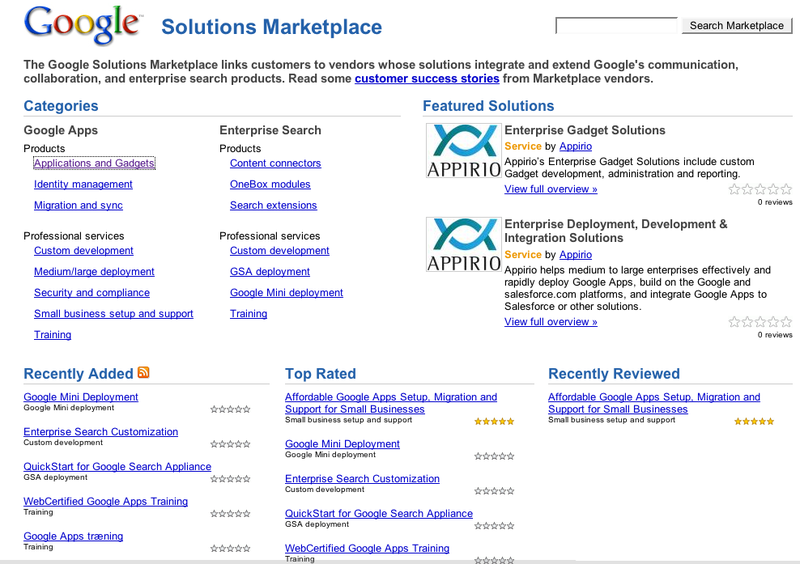 It replaces a simpler Enterprise Solutions Gallery that Google had before. While Google won’t be hosting the apps (it is just a free listings service), companies can create their own product profiles. Customers can search for Google-related enterprise apps all in one place and rate them. Google needs to create momentum around its enterprise products so that smaller companies will want to develop add-ons and create businesses around them. Right now the offerings seem pretty thin. There are a bunch of syncing tools, identity management offerings, add-on gadgets, and integration with other enterprise apps. But what is lacking is an economic model that would really motivate developers to build on top of Google’s Enterprise apps. The free exposure, though, is a start.